I am such a book junkie. I suppose there could be worse things. When I received my update from Simon and Schuster today, I wanted to order every one of the books they recommended for young people. I have 12 grandchildren so my list is very long. 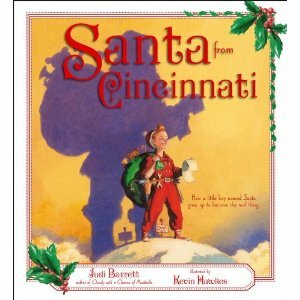 Santa from Cincinnati was a book that I thought I wanted for myself but knew I would have to share with my grandchildren. Judi Barnett wrote the book as an interview with Santa Claus using his baby books, scrapbooks and report cards to as back up research. Everything you ever wanted to know about Santa, as told to the author of Cloudy with a Chance of Meatballs by the big guy himself. Grammar is bo-r-i-n-g! Well it turns out not so much. These books are so much fun and will make you laugh. Patricia T. O'Conner writes books about writing in such a way that you actually want to read the book about writing...if that makes any sense. I am sure she would have put it better than I (?). 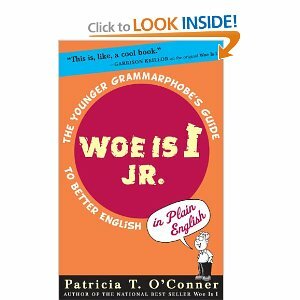 I suggest Woe Is I, JR as a gift for the teacher in your life. I cannot imagine that the teacher wouldn't like to share this book with their students...4-8 teachers would be perfect. It could also be good for children too. 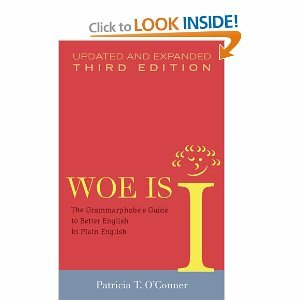 If your grandchild is struggling with writing and grammar I think this could be a good reference book. Woe is I would be perfect for anyone in your life that loves to write. I am so taken with these books! I want one! Both of these books are published by River Head Trade. I also like one of the books that Simon and Schuster recommended for teens called Dead To You. When you go to Amazon and read the first chapter I think you will see what I mean. I can remember loving books that had just the right amount of suspense. 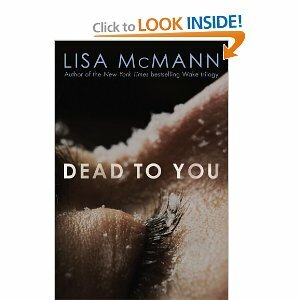 Lisa McMann is a best selling author and high recommended by people that know. NOTE: If you go to the Amazon links under each of the book covers, you will find reviews and you will also be able to look inside the book and read a chapter or so. I always do that before I buy a book from my Kindle app on my iPad. !